The Strand marks the 80th anniversary of the BBC World Service with a live show featuring guests from the world of the arts. As the BBC World Service celebrates its 80th anniversary, The Strand marks the occasion with a live show featuring a range of guests from the world of the arts. William Orbit, who's produced Madonna's latest album, is guest editing the show and will also be performing live, alongside Roger Taylor from Queen, who'll be dropping his drumsticks and picking up a microphone. Trinidad-born writer VS Naipaul, author of A House for Mr Biswas and India: A Million Mutinies Now remembers his early days working at the World Service. Uzbek writer and poet, Hamid Ismailov, will read his poem written specifically for this celebration. American writer Lionel Shriver talks about her latest book, The New Republic, a playful look at journalism and terrorism. Amadou and Mariam - one of the biggest selling African acts of our times - will be performing a track from their new album. Pianist Rosey Chan will be performing her own composition. 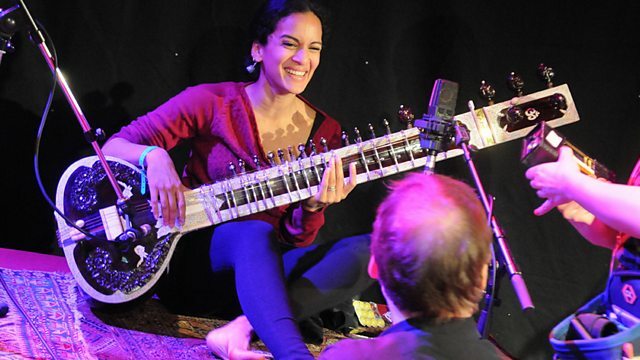 And extraordinary sitar player, Anoushka Shankar, performs a track from her new album which blends Indian music traditionally played on the sitar with the very Spanish guitar-dominated Flamenco.